How long can I expect my cushions to last? Home / Scatter cushions / Cushions Buying Guide / How long can I expect my cushions to last? The answer to that question depends on many different things. The care of the cushions and amount of abuse they take is important. If they're simply sitting on a couch as décor, out of the sun and seldom touched, they'll last quite a long time. If you have children or pets who love the cushions as much as we love them, but show it more overtly, the cushions will not last nearly as long. Pets can cause damage to cushions, particularly when they sleep on them, claw them or rub against them frequently. Body oil and moisture from the skin, whether from an animal or human, can create stains that ruin the appearance of the cushion. 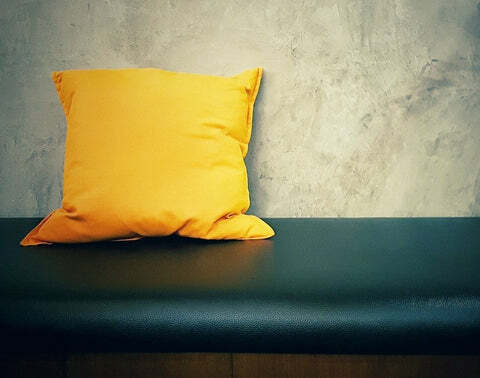 Sweat and body lotion is easily absorbed by cloth cushions, too. This can cause staining that will make your cushions far less attractive and shorten the life of them considerably. Keeping them free from spills and stains is also important. However, if you do spill something on them, wiping the cushion quickly and then blotting it dry with a paper towel or white cotton cloth to remove the liquid is important. If you have a soiled area, first vacuum it to remove loose dirt and grime then lightly was with a white cotton cloth soaked in a solution of mild detergent and warm water or use a mild solvent. Always check the product tag for help or test the fabric in a small unnoticeable area. You can make your cushions last longer in a number of ways. Keeping your cushions out of the sun will help prevent UV damage. Turning the cushions frequently can also keep both sides looking good for longer. If you have a loosely filled cushion, plump it periodically. 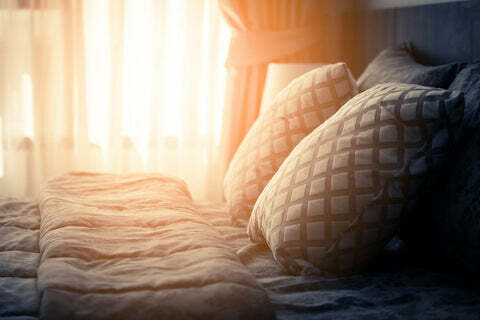 Rearranging the pillows often can be important, particularly if a family member has a specific spot they sit or a pillow that's frequently leaned upon. Always check the cleaning instructions before throwing any cushion or fabric covered item in the washing machine. While keeping items clean is important, washing them can also ruin them, particularly in the brisk agitation of a washer. If you take care of the cushions, they'll last a long time and the reverse is also true. The cushions that receive constant rough usage will wear out faster.